I arrived to Jena Paradise station prepared to discover a 'citadel of science and knowledge', but I was relatively unprepared for such a busy schedule. With so many personalities that lived here and a vibrant industry and university life, no wonder that in more than 10 hours I had plenty of things to do and still something left for another trip. I started the marathon with a visit at the Romantik Haus, that reviews the main moments of Romantic movement through the works and histories of the personalities who lived in the city. 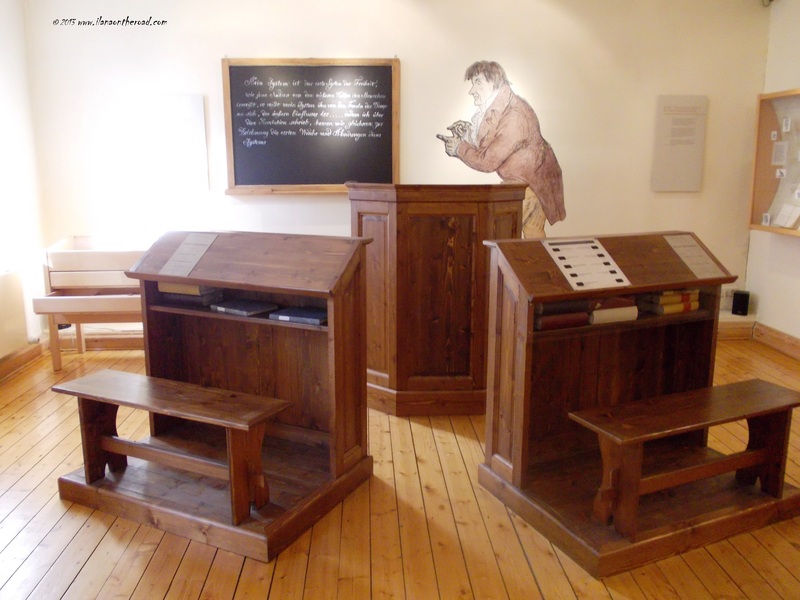 Among them, the brother Schlegel, Fichte - who also lived in the nowadays museum - Goethe and Schiller. Jena was not only an attraction for literary personalities. Scientists studied at the university and found here inspiration for their contributions to the history of science. One of them was the naturalist Ernest Haeckel. 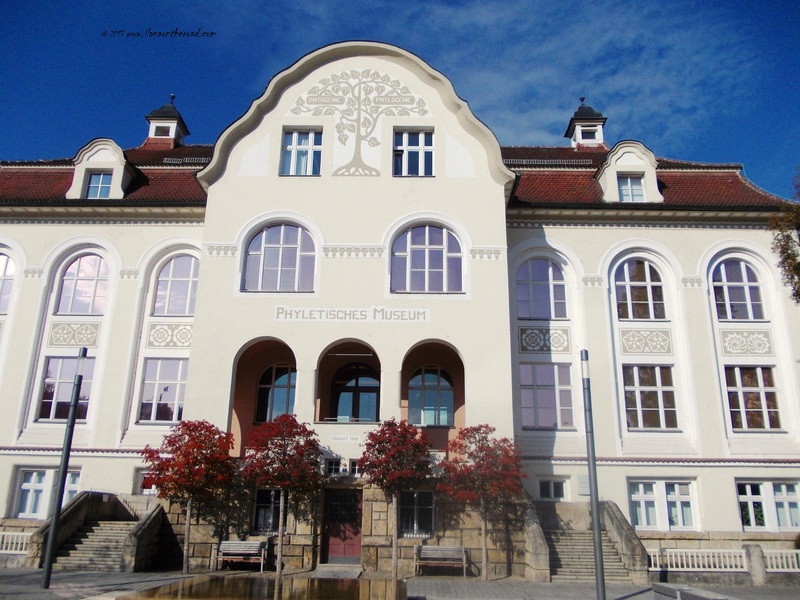 In an art nouveau building he created the Phyletisches Museum exposing his theories about evolution. I must confess that the some of the explanations were quite complicated for my simple mind, but 10-12 year olds visiting the museum with their parents or grandparents did not feel bothered by that. I had the luck of a very sunny Sunday afternoon that allowed me to explore the streets silently, enjoying the colours of autumn. From the middle of nowhere, a noisy group of soccer fans guarded by police, broke the silence, but they disappeared soon and did not see them for the rest of the day. In an old train station I admired some colourful graffiti but returned to the museum track for more sight-seeing. 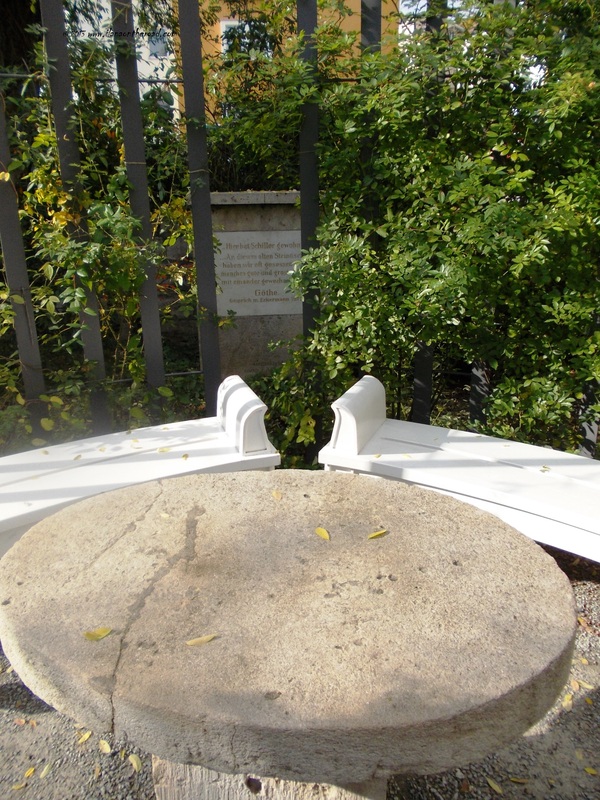 Schiller's garden where he often walked looking for inspiration was my next stop, another opportunity to spend more time outdoors. Most shops and restaurants were closed, and so it was the Optics Museum and the University Planetarium. But still I had a lot of things to do and my next long stop was the art collection of the local museum. Besides an interesting history of Jena, with its frequent students revolts, I was lucky enough to be offered the chance to see an exhibition of impressionist and neo-impressionist painters, with beautiful works by Paul Signac, Camille Pisarro, Monet and even Toulouse Lautrec in a different stage of artistic evolution. 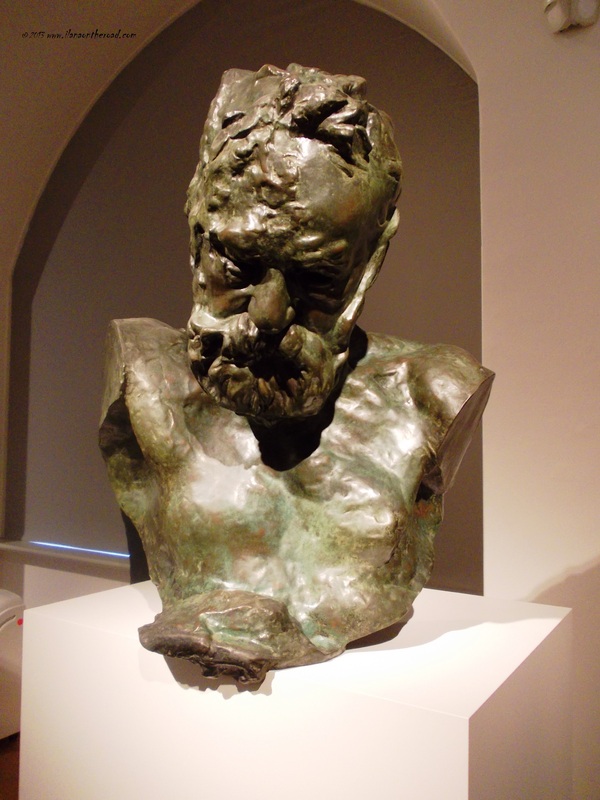 And also a beautiful sculpture by Rodin. 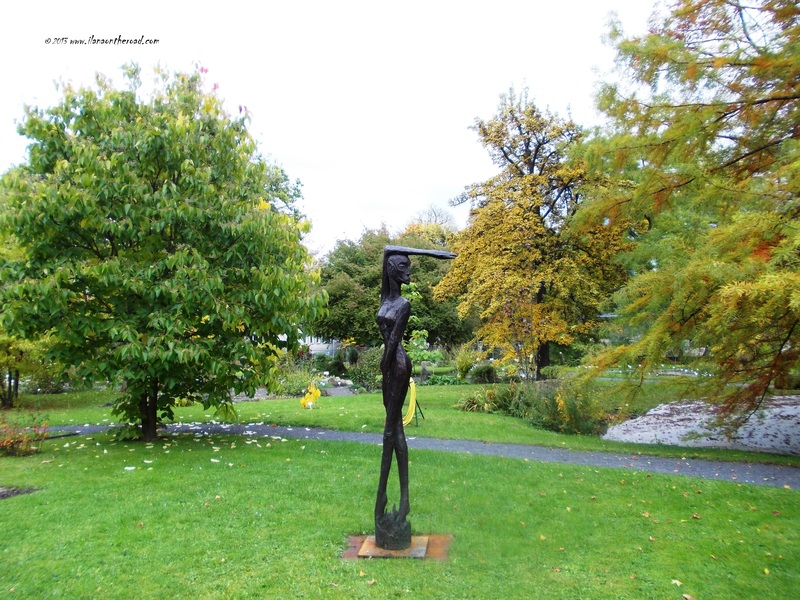 I had only one thing to do before enjoying a couple of hours of hiking: the Botanical Gardens, with their beautiful autumn flowers and Giacometti-like statues surging from the middle of the fields. On the way to the hills, I checked if the Planetarium was open , but I was late to enjoyed the chance of some good hours of light. I hardly resist the temptations to visit museums and exhibitions, but nothing makes me happier than a walk in the woods. 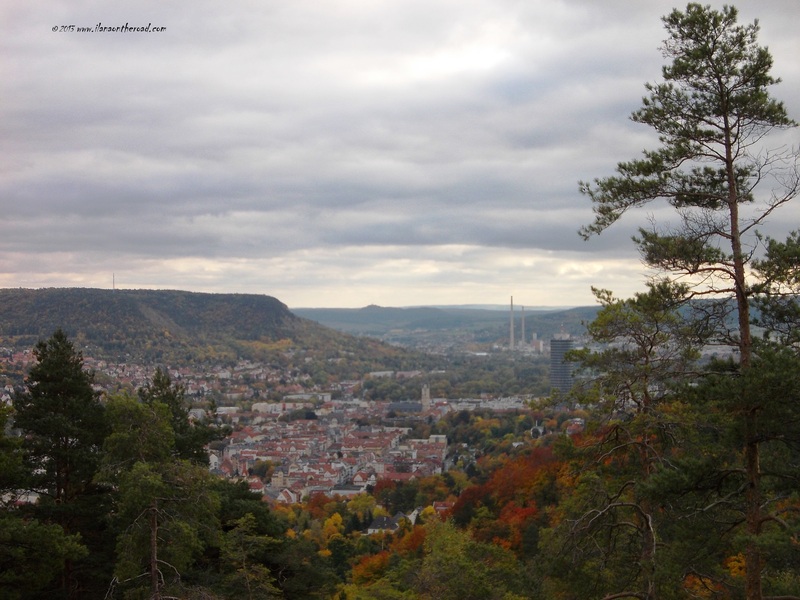 The city is in the middle of an area with hills and forests, with easy paths that can be done even without too much training. Both joggers and children with their parents were using the time for more movement before the arrival of winter. The weather was mild but needed to be careful where I walk with so many wet leaves on the path. When I went tired, I rested on a bench and had a look at the quiet city. Can I want something better than this? Back in the city, I took a trip with the tram trying to rest after hours of walking while observing as much as possible from the city. I switched an area with houses and green gardens with an industrial landscape with industry and empty spaces. No new revelations, so I decided to put an end to my train trip and spend the rest of my time in the central area. I had a coffee at the Black Bean Coffee Shop, saw a travel photo exhibition at Goethe Shopping Gallery (that reminded me of Weimar, where the one of the big shopping gallery is also called Goethe - and the other one Schiller), with some beautiful pictures from Mongolia and walked the Wagnergasse crowded by the youngsters coming and going to and from the busy bars. After I took one more picture at the 14th century Pulverturm, headed to the train station where I'd found out that my train was delayed for one hour. Not a pleasant surprise, but at least I had a book with me to fill my time in a useful way and keep up with the high cultural standards followed during my Jena marathon.